Increased horsepower and torque will have you blasting past boring stock Camaros. 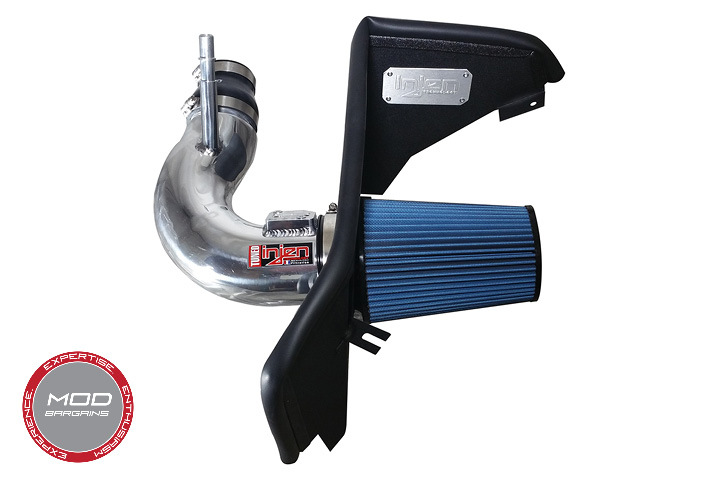 A proper cold air intake is one of the best ways to improve your car's performance and Injen is no stranger to high quality intake system. 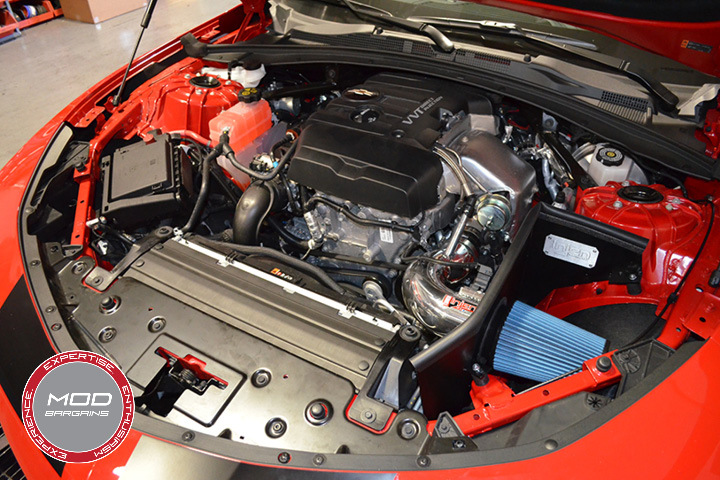 Their new Power Flow Cold Air Intake for the 2016+ Chevrolet Camaro 1LT/2LT offers significant power gains while making your engine bay look 100% more awesome. There's just something about polished tubing and muscles car. They just work together amazingly, and the high quality 6061-T6 aluminum piping produces a beautifully aggressive induction note. Coupled with the black powder-coated heat shield and the SuperNano-Web dry air filter, your engine bay is sure to be a crowd pleaser. 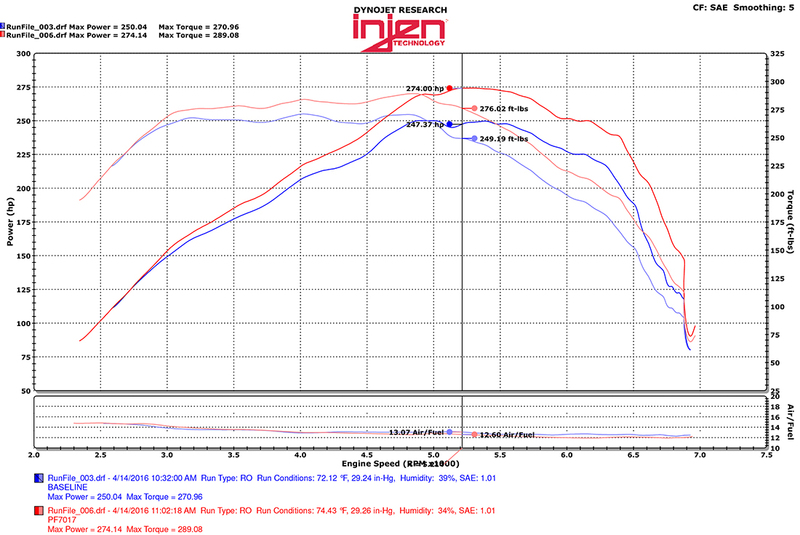 With dyno proven results and looks to knock your socks off, Injen's Power Flow Cold Air Intake is another hit from one of the most popular and well known intake companies. *Note: This intake is not CARB exempt at this time and is not legal for sale in California or use on vehicles registered with the California Department of Motor Vechiles.